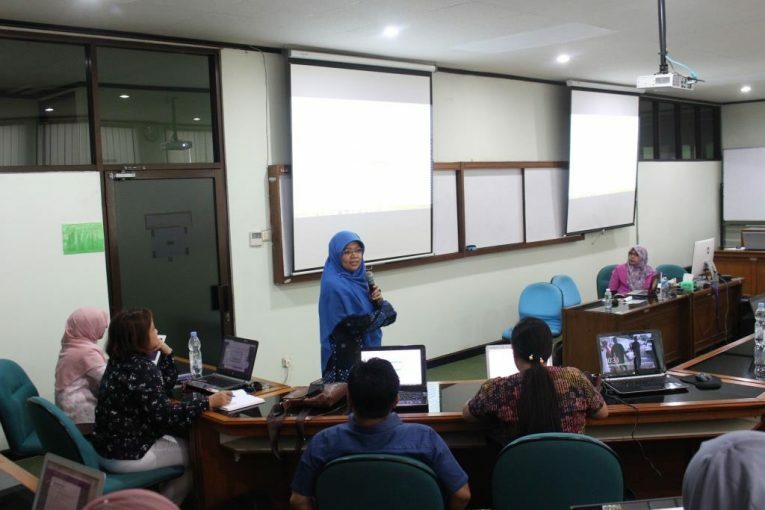 Yogyakarta, Monday, September 17, 2018, Master of Science and Doctoral Program FEB UGM held a sharing session entitled “Bibliometric Tools for A Literature Review”. The sharing session was delivered by Ira Setyaningsih, a doctoral student of Management Study Program FEB UGM. Nurul Indarti, Sivilekonom, Cand. Merc., Ph.D. as director of the Management Study Program MD FEB UGM opened this event. Bibliometric is a set of mathematical and statistical methods used to analyze and organize publications. Ira Setyaningsih as a speaker of this event had completed an article published in the International Journal Management Concepts and Philosophy entitled “Bibliometric Analysis of the Term Green Manufacturing” together with Nurul Indarti, Sivilekonom, Cand. Merc., Ph.D. and Ferry Jie. Five steps must be followed to conduct a bibliometric analysis: defining keywords, determining initial search results, improving search results, compiling statistical data, and analyzing data. Ira Setyaningsih said that a lot of software can be used in the bibliometric analysis, such as BibExcel, HistCite, Publish or Perish, etc. At this sharing session, Ira Setyaningsih specifically explained how to use Publish or Perish (PoP) in the bibliometric analysis. PoP is a software developed by Professor Anne Wil Harzing in 2006, at Tarma Research Software Pty Ltd- Melbourne.